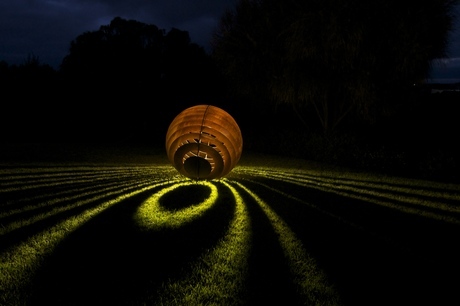 Industrial artist Matt Hill produces bespoke landscape lighting and sculptures for outdoor spaces. 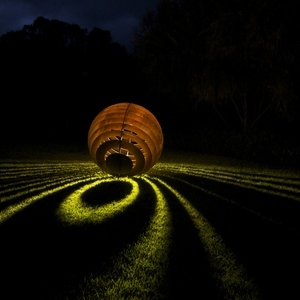 His pieces are constructed of corten and mild steel and lit by 12 V waterproof LED lights, transforming from sculptures by day to light features by night. Hill’s background as a carpenter is evident in the symmetry and geometry of his work, and a seven-year stint working in Japan has influenced his aesthetic. Hill focuses on simple, geometric shapes and clean lines, as well as lighting and shadows to add drama to each piece. Every piece is handmade by Hill to order and individually stamped with a unique number. Hill delivers and installs his sculptures himself to ensure they are ideally situated in the space for which they are intended. 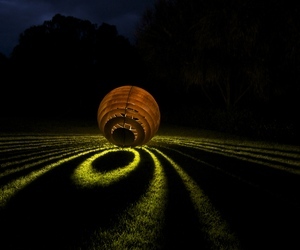 I am interested in Matt Hill Projects landscape lighting and sculpture .